In 1998, a young man from the mountains of North Carolina mopped the floor with IHRA Top Dragster competition, claiming his first ever world championship. Now, just under two decades later, Matt Cooke has done it again. 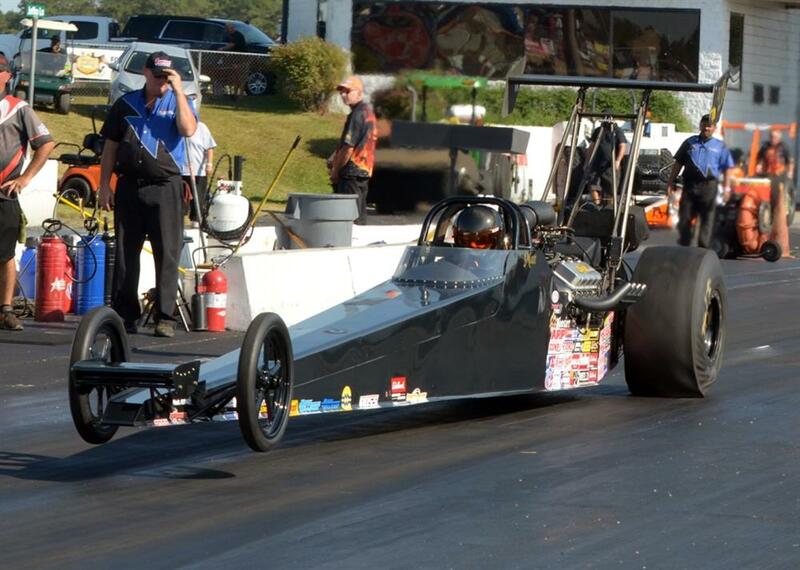 Pulled in by the two day race format, Cooke gave the Professional Drag Racers Association a try in the fall of 2015. It turned out well for him, his wife Kelly and car owner Andy Burnet. Cooke won Dragstock and made plans to chase the tour in 2017. The year started out with a blip, but things quickly took a turn for the better. Out of the seven events contested this season, Cooke was in five finals. Because of his incredible success, Cooke wrapped up the 2017 Lucas Oil Top Dragster World Championship well before that Virginia final. It’s safe to say, this was Cooke’s best season of racing. “I’ve never left the house and bought seven tech cards and been in five finals in my life. I’m lucky enough to drive Andy’s stuff. Andy supplies Kelly and I with the best of the best, tells me to pull the motor out and freshen it regularly. Every single component on that car has a spare in the trailer. When somebody sends you to the races like that it makes you race better. I don’t even know what I ever did to deserve it. I was almost relieved that I did something for him. He goes over and beyond. He’s a great car owner. Most of all, Cooke thanks his wife, Kelly, who has been his biggest supporter throughout his career. “It’s been a blast,” Cooke said of his first season with the PDRA. “The races are relatively close to the house. The payout is good. I like the four round race and I like to race fast. I want to race other people getting after it. It seems like fast bracket racing is where I'm able to turn more win lights on for whatever reason. With so much success in his first season with PDRA, plus the benefits the series offers, it’s no surprise Cooke says if he continues sanctioned racing, it’ll be with the PDRA. In 2018, Top Dragster will offer both Elite Top Dragster and Top Dragster 32, just like the pilot Top Sportsman program this season. The entire field will qualify together. Once qualifying has been completed, the top 16 qualifiers will be drafted into a semi-pro class. This ‘Elite 16’ category, besides coming with greater prestige, will also pay more to win. The remainder of the field will run as a 16 car qualified field unless there are 42 or more total TD entries. If 42 or more total TD cars make a qualifying pass, Top Dragster will run as a 32 car field in addition to the Elite 16.